Since the evolution of the great ape until today, humans have emerged as the planet’s most superior race in terms of intelligence. Our ability to coordinate, imagine and take calculated actions give us the power to alter our own reality and the ecosystem we dwell in. We, today, stand at a point where we can design machines that have a ‘brain’ of their own. It has been a fascinating journey altogether. While we are not sure, contrary to the popular sci-fi themes, if man-made machines will someday take us slaves to rule the planet with their ‘developed’ sentience, we are pretty sure that the Machine Learning technology does possess an interesting and promising future! And, to those wish to switch/upgrade their careers, now is the time to break the ice with a highly recommended course in ML. Let us get started! Here are some mind blowing forecasts about the future of Machine Learning technology you probably did not know. Quantum Computing might be possible with ML! Since the creation of the first transistor, we have come a long way to only arrive at more powerful and smaller computing devices. For example, the smartphone in your pocket today is much more powerful than a military computer a few decades old! Moreover, that computer would have occupied a whole room, and your smartphone is so small that you fear losing it every time you leave your room. However, our computer processors are becoming smaller and smaller, the technology they are based on is very basic. Our current computers, PCs, Laptops, Smartphones, etc. are based on binary-number processing. That is to say, they calculate the problems in terms of 0s and 1s. This, by 2040, will become a problem for us. The reason is, our present computing technology will not be able to handle all the machines across the world due to fundamental limits of the technology. As of now, the only solution seems to be Quantum computers. Quantum computing is different from traditional computing. Instead of 0s and 1s, it uses ‘quantum state’ of the atoms to store and process information. The quantum computing is the only way to solve complex problems because the current technology simply cannot tackle them. Through Machine Learning, it is possible in the near future that you might be carrying a smartphone in your pocket capable of making accurate predictions about the weather, your health, election outcomes, and even control a network of armed drones without draining the battery! Humans have always been fascinated by objects that can mimic their behavior. No wonder why Machine Learning is being leveraged to develop apps, AI-based robots, and devices capable of recognizing the natural language of humans, vision, reasoning, logic, even emotions to act and react accordingly. ML is already enabling the developers and engineers across the world to deploy smartphone applications that can interact with the actual surroundings just like humans do. Examples of cognitive applications include vision recognition, speech recognition, emotion recognition, reasoning engine, prediction and decision making engines, etc. Since cognitive applications are inspired by the way human-brain processes information, Machine Learning is the only viable way to advance this technology for a better future. Autonomy and Automation are two key aspects that keep the engineers motivated to advance the field of Machine Learning. Unsupervised learning is what the ML engineers want to achieve more control on in the next few years. With advances in the Unsupervised-learning, it will become possible for applications and devices to learn on their own without human intervention. Example, a software might learn about the hidden patterns common to early diagnosis of cancer in patients without recurring input from the doctors. Another promising milestone for Machine Learning will be the advent of Collaborative Learning. As the term itself suggests, Collaborative learning will enable multiple devices across the world, connected in sync via the IoT network, to learn together and become smart on their own. This will be made possible with the Edge Analytics and Machine Learning working in sync together. There is no doubt, even as light-weight as a feather about Humanoid robots being one of the coolest sci-fi thing ever. This is no more a realm of fiction or Hollywood movies because intelligent robots that look like humans are already serving us (Think Sophia!). Machine Learning has made it possible to develop advanced Artificial Intelligence algorithms that can power these magnificent machines to make our lives easier. And, the applications are not just limited to cool robots that can speak to us, discuss politics, or play chess with us. There are numerous other applications of the AI like self-driving cars (thank you Tesla! ), surgery-robots, autonomous robotic foot soldiers, etc. Taking the industrial aspect in view, ML is serving the commercial goals with automation. 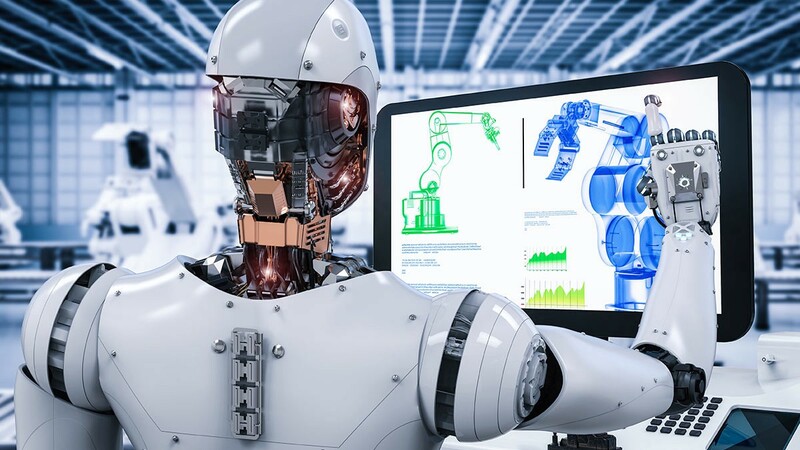 Automation is directly responsible for faster processes, precision, cost savings, and many other efficiency parameters that manual labor cannot simply meet! All thanks to the advances in Machine learning that will keep on growing in the decades to come. At the time of writing this article, it is the author’s opinion of what the future might look like for machine learning. Who knows, in the years to come, he/she might be sitting in a car which is driving itself, is manufactured by a robot, and the article you will read is probably written by an AI powered by ML. Awaiting that day, good luck till then!